This is a small sample of our production Falchions and Messers. 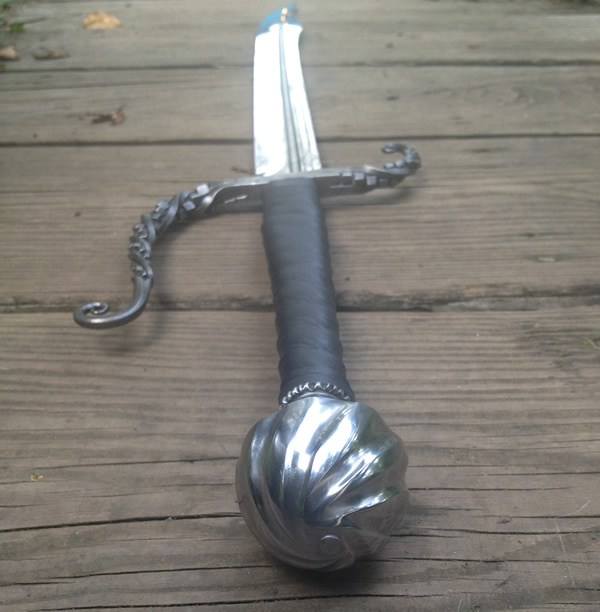 Our standard falchion blade is 30" from shoulder to tip. The mini messers are 22.5" from shoulder to tip. 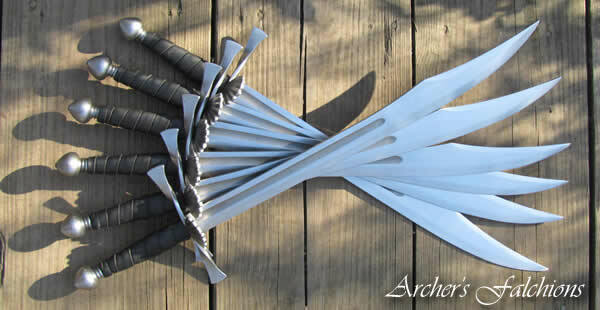 Our standard 22.5" mini-messer(falchion) blade w/ fuller. Wolf cross guard with paw side plate. 8 sided faceted ball pommel. 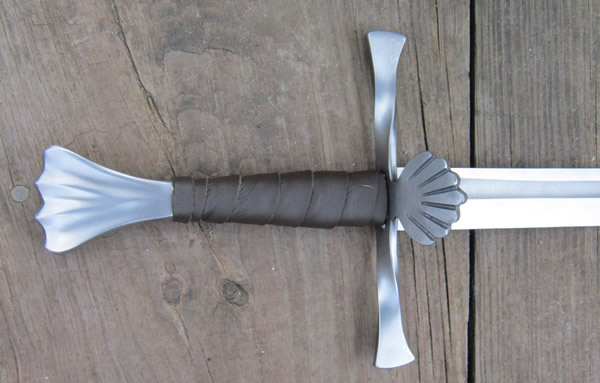 This semi-custom falchion is based off of our 30" blade. It is triple fullered with a small gut hook behind the false edge. 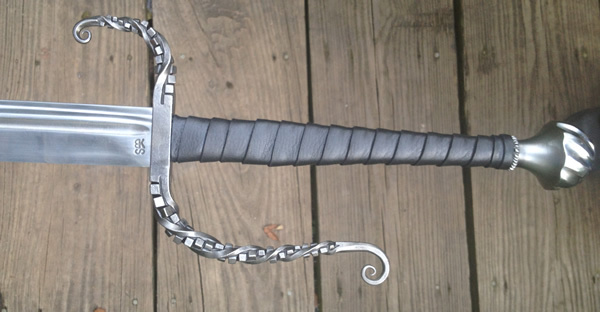 The hilt is a custom forged cube twist with curls at the ends. The pommel is a spiral fluted mushroom. Bow tie with clamshell guard. 12 sided faceted ball pommel. 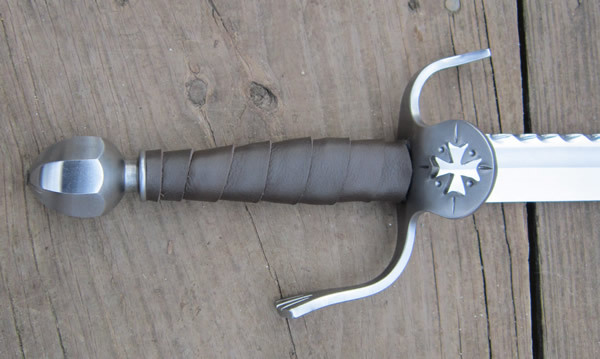 Our standard Falchion blade in polish with double fullers. Hammer faceted and polished wheel pommel. Standard leather wrap handle with steel spacer. 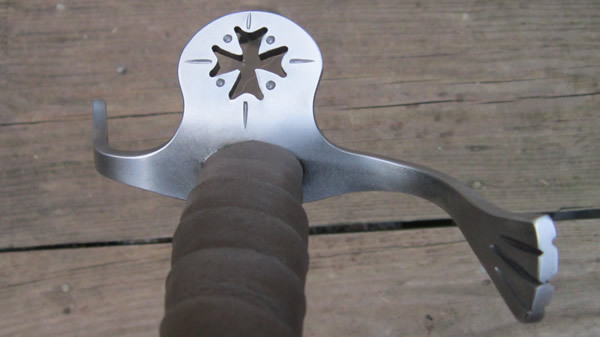 S'd cross guard with cross pierced side plate. 8 sided faceted egg pommel.